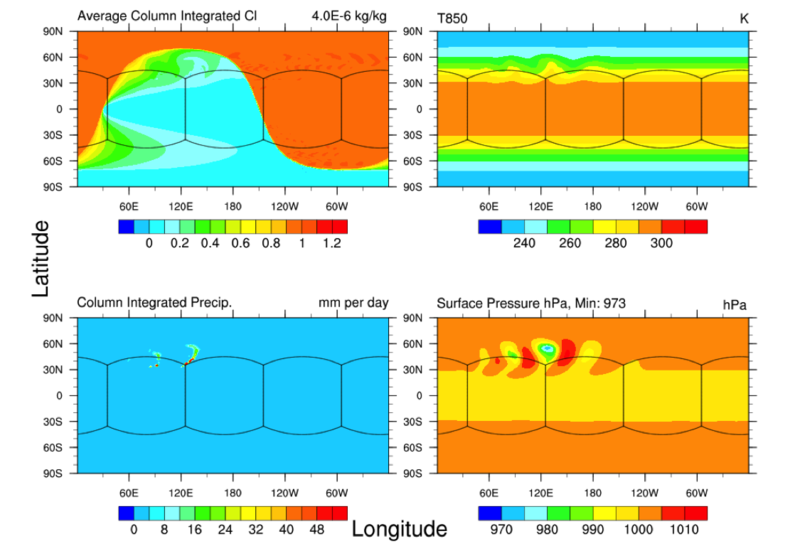 The Dynamical Core Intercomparison Project (DCMIP) in June 2016 consisted of a series of idealized tests for a dozen global climate and weather models, with a particular emphasis on non-hydrostatic simulation. Over 30 day simulation with 1 degree resolution. Figure 2. Uniform grid run with a resolution of ~100 km. Figure 3. 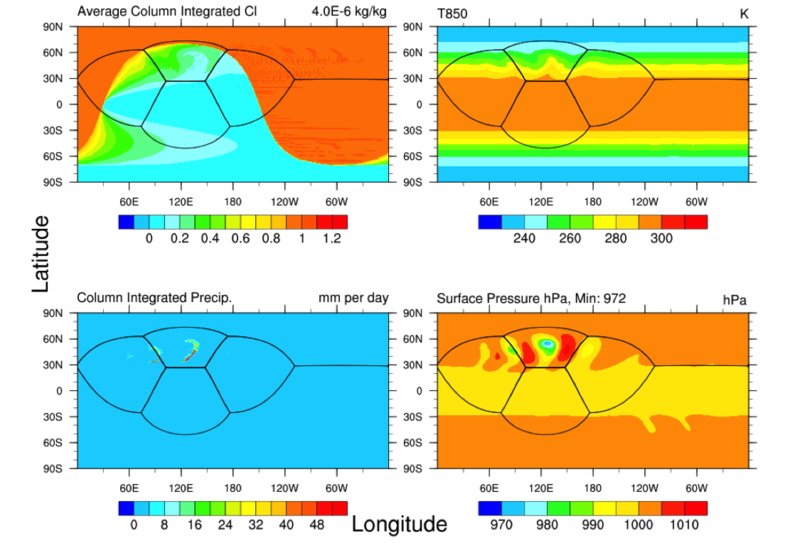 Stretched grid run with the coarse resolution of 100 km and fine resolution of 25 km centered over the location of the baroclinic wave at days 7-10. Figure 4. Day 8 of a uniform simulation run at 0.5-degree resolution. Figure 5. Same as Fig. 4, but for variable resolution. Figure 6. 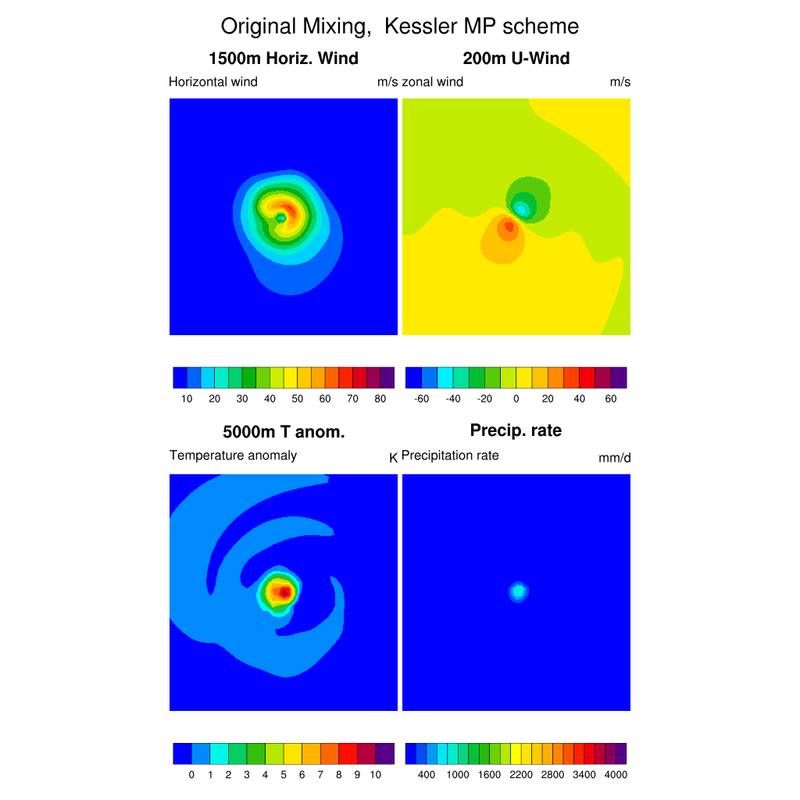 2D view (radius v. height) of tangential wind (left), radial wind (center), and temperature anomaly (right) for day 8 of the variable resolution simulation. Figure 7. 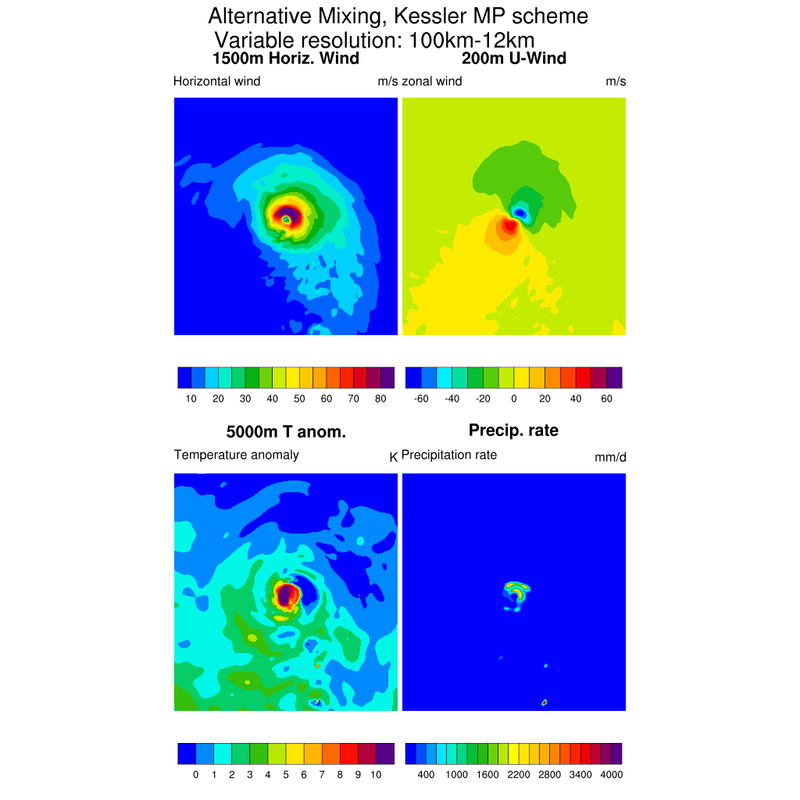 A 1 km simulation showing cloud liquid water mixing ratio at 5 minute intervals overlayed on bottom level temperature. Figure 8. 5 km vertical velocity (m/s) (first row), rain water (kg/kg) (second row), 2500 m vertical velocity (m/s) (third row). Each column shows a different horizontal resolution: 0.5 km, 1 km, 2 km, and 4 km (left to right).